At The Whaling Station Bed & Breakfast we take pride in providing our valued guests with an amazing all-round holiday experience and the best Sea View Accommodation in Plettenberg Bay. Are you looking to do some Whale Watching in Plettenberg Bay or get lost in any of a wide array of nature, leisure, or adrenaline based activities? No matter what your holiday goals, you are always ensured of quality service and commitment to your comfort and safety. Our establishment lends its name from the original Whaling Station which was situated on the Main Beach of Plettenberg Bay, having been closed in 1912 after 12 years of operation. Enjoy watching Whales breach and Dolphins splash in the waves from our Lookout Deck & Rim Pool, or take a five minute canoe trip from the front of our property, across the lagoon to the most exclusive 7km of pure white sandy beach in Plettenberg Bay. Alternatively, a short drive will take you to Plettenberg Bay's famous Central and Robberg Beaches and upon your return why not end your day with sundowners followed by a scrumptious braai (barbeque) in our thatched lapa. What more can we say? Have a look at some of the amazing beauty on offer at The Whaling Station Bed & Breakfast. Your stay in Plettenberg Bay will be one you will treasure and always remember. We know that once you stay with us you will always yearn to return to relive the luxury of true beach front accommodation the way it's meant to be enjoyed. Once you get to Plettenberg Bay you'll find some of the best Whale Watching Opportunities available in the world today. At The Whaling Station Bed & Breakfast you get to see these amazing sea-faring mammals right from our beautiful property while surrounded by incredible scenery and amazing service. 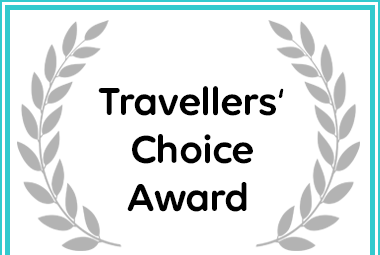 The Whaling Station B&B received a Travellers' Choice Award due to exceptional customer reviews for Plettenberg Bay Accommodation.